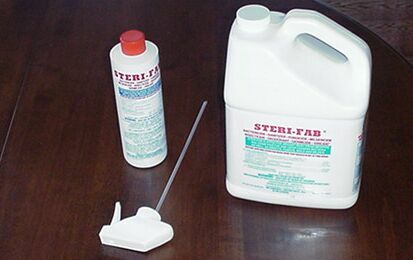 PRODUCT DESCRIPTION: Ready to use spray which is safe enough to apply to just about anything. It is a known bactericide, sanitizer, fungicide, mildewcide, insecticide, deodorant, germicide and viricide. It works immediately but because it leaves no residue, it poses no hazard when used on common things in and around the home. WHERE TO USE IT: Just about any part of the home including carpets, bedding, mattresses, furniture, drapes, counters, toys and any where you are having mold or fungus problems. RATE OF APPLICATION: A pint will treat around 125 sq/ft; a gallon will cover around 1000 sq/ft.